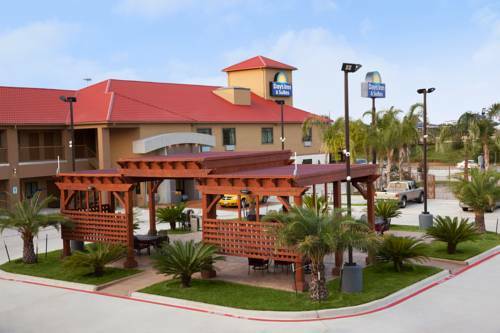 Welcome to the Days Inn and Suites Houston North/Spring, at a convenient location just 10 miles from George Bush Intercontinental Airport and 14 miles from William P. Hobby Airport. Fly into Houston for business, and park your rental car for no additional charge. This lodging offers complimentary continental breakfast daily and complimentary wireless Internet access in all guest rooms and public spaces. Keep to your fitness routine using the onsite fitness center; and the business center offers computer access, along with fax, printer and copy service. Guest rooms feature desk, iron, ironing board, safe, coffeemaker, mini refrigerator, microwave, hair dryer and flat screen HDTV. Walk to Dennys or Olive Garden nearby. Golf courses are reachable within five minutes by car. This is a non-smoking facility. Sorry, no pets allowed.